Nothing really 100% replicates the look, feel and handling of a beautiful Oak door and there is so much a skilled craftsman can do with solid wood it’s no wonder that Oak doors still remain in high demand. This “craftability”, gives you the option to dictate, right from the factory, what design you want your door to be shaped to. An appealing design pleases the eye but also adds value to the home. Even though other woods may cost less you may have to maintain them more which, over the years, will bring up the cost to the same price or more than buying a new oak door in the first place. A well looked after solid Oak door can easily last a life-time. Even if you inherit an example that fails at some point for some reason, you may only need to ever replace it just the one time. Oak and hardwood doors are some of the most distinctive types of doors on the market each with its own unique characters for your residential exterior. Depending on your choice of door, you may want to know more and understand some of the more popular of wood species that can be used in residential doors. 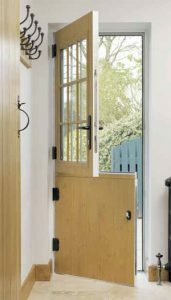 To help with that, here is a short guide to the main options, features, and costs of the best oak and hardwood doors available for exterior fitting front and back doors. Sometimes also found as English oak, French oak, Slovenian oak or Polish oak, this hardwood is very popular for use in residential doors. Quite a lot of European oak is from France close to the Swiss border, as the weather conditions encourage slow growth and apparently this gives the timber a more stable colour. Yellow or golden brown in colour, this is a very hard-wearing timber with “medium” moisture movement (levels of shrinkage & expansion). This oak is a heavy and hard wood species, it is naturally pale yellow/ brown and sometimes can give off an almost silvery grain effect, depending on the cut. It is said to be more dense than European oak and therefore may be slightly easier to maintain. Whilst they may look just like a solid oak door, oak veneer doors only have a thin layer of oak on the surface ranging from 0.5 mm to around 2.5mm. The core of the door would be made from another timber or even a composite material. Just because the door is an Oak veneer. and not solid oak all the way through. does not make it a cheap substitute. 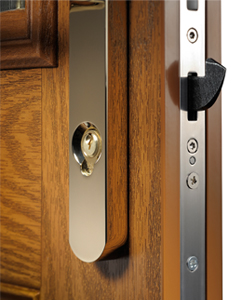 Solid wood doors have their own issues with expansion and contraction if they are not sealed properly and poorly maintained. There is quite a lot of choice when it comes to hardwood or oak door designs, from classic panelled to ultra-modern minimalist. Full glass – the whole door is glazed within the top & side rails. If you have an opening just a little wider that this then it is possible to extent the frame to cope with it (up to a few inches or 75mm). Any significant extra widths or height would necessitate the addition of side or top panels. If you want to stay with a light colour, then Beech might be a good alternative to oak as it can be found in almost the same colours. Using beech for an external door can bring some increased maintenance issues because it is said to be susceptible to large moisture movement. In other words, it can swell & shrink a lot as it gets wet and as it dries out. This wood is grown in Malaysia and can be coloured from almost a “pink” shade to dark red or even “purple”. Sometimes used as an alternative to Mahogany, it is reputed to be a stable timber with low moisture movement properties. A lot of mahogany was sourced out of Central and South America as a dark red/brown hardwood. Mahogany from Honduras is reputed to be very expensive but gorgeous wood with a tight grain. Genuine teak from Burma has been difficult to find and maybe Iroko is a good alternative. Yellow/brown in colour this is a very durable timber. Iroko – yellow as new, medium brown aged to silver when aged & untreated. Framire / Idigbo – Light colour, used in place of oak sometimes. Utile – pale pink new, red/brown when aged. Ash – or white ash, is a light coloured wood. Black Walnut – not particularly stiff, but has a great finish. Prone to having knots. Hard Maple – light red/brown. Heavy & hard. Red Elm – pale red/brown, medium strength. Poplar / Tulipwood – pale cream to light green, medium strength. Although these are some of the major hardwoods, there are several other variations that we have not covered here to keep the article briefer. How much do oak doors cost? The cost of replacing your old door with a new oak door will consist of 2 aspects; the door itself & the cost of fitting it. It should not take a professional more than a day to remove and replace a single door, so if you allow a daily labour cost of £150 to £200, that should cover it easily (unless you hit a snag or 2). 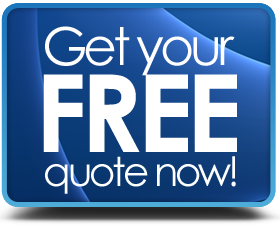 For your own peace of mind, get a fixed cost from the person before you give them the work. Hardwood doors for supply only, are quite diverse. Some suppliers charge around £900 for a solid oak contemporary (modern) front door and also around £900 for a solid oak stable door. Full length glazed (engineered) hardwood, 44mm thick doors can be found at around £250 to £350 supply only. If you are looking at the more architecturally designed bespoke oak or hardwood doors, get your wallet or purse ready. Because a fully fitted bespoke solid oak front door will cost well over £1,000. Buying a door is not an easy task because a door is not just the face of your house; it is also something you want to last for the life of your home. Hardwood doors, such as those made from oak, have a quality and feel that is impossible to recreate with other materials such as softwoods, uPVC or aluminium. A solid oak front door makes a great statement about your property.